The IMOVR Sit-Stand-Walk Treadmill Desk and the Herman Miller Aeron Chair. These two items are appropriate for either a home office or even setting up at your place of work. 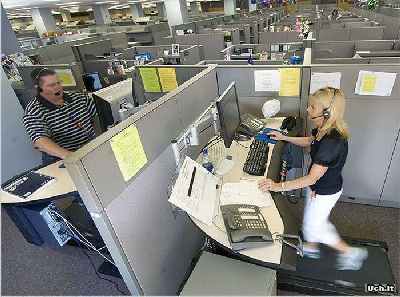 Yep, that's our own IMovR treadmill Desk in action. We keep it in one of our spare bedrooms, which we have converted into a home office. All we can say is... it was worth the money. My wife worked online for years, spending 8-10 hours per day at the keyboard. This contributed to constant low back pain and poor overall physical conditioning (sitting all day long). There was a significant improvement once we installed this Sit-Stand-Walk work station. She alternated between sitting and standing all workday long, and committed to walking the treadmill for 20 minutes twice a day (morning and night). Although she still had occasional bouts of low back pain, her overall physical fitness increased dramatically and the nagging day-in-and-out spine pain was gone! Can't say enough about how this cutting-edge piece of office furniture changed my wife's life... for the better. NOTE: You might wonder how you could possibly type or use a mouse while you are walking a treadmill. I had the same question. 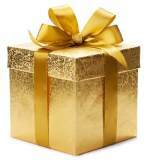 I found that it was easy. After a few sessions, your brain adapts and overcomes. No problem. Honest. It actually comes in two parts: the Treadmill (below) and a desk which moves up and down. 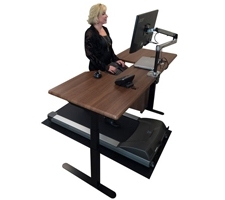 Specifically designed for walking (not jogging) speeds and quiet office use. Rugged and ready for continuous round-the-clock use and multiple users. It's also a fitness tracker- records each users’ sitting, standing, and walking times, calories burned, speed, distance walked, and the number of steps taken. Program the timer to let you know when it's time to take a break or change to a new sit-stand-walk mode. We studied hard before we bought one of these, and we still believe the ThermoTread GT is the best office desk treadmill on the market today! Beefy desk remains stable even when fully extended; and can take lots of heavy load. Another back-saving piece of "therapeutic" office furniture. I also did my homework on this marvelous rolling office chair before I bought. After reading literally dozens of user reviews, we ordered a Herman Miller Aeron Chair, and have never regretted spending the money. Although pricey, in the long run it is better to get one of these chairs with a 12-year warranty than to spend $150 every couple of years for the cheapos. Perfect back support, glides quietly and easily and is virtually indestructible. 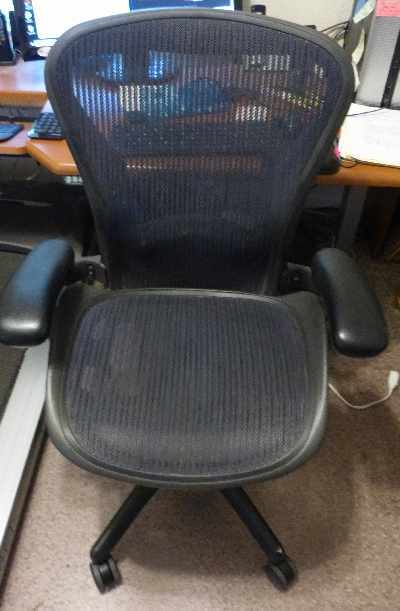 The picture just above shows my Aeron after 8 years of constant use. Whether you purchase the ImovR treadmill desk and/or Herman Miller chair or not, you might want to get one of these: a Memory Foam Seat Cushion. I have one and it works perfectly with my office furniture setup. Relieve pressure on the coccyx from long hours of sitting. I love this seat cushion and use it on the Aeron chair intermittently. Get up to speed :) on the best speech recognition software/ wireless earphone-microphone combo on the market. Amazing computer gadgets to make office life easier (and more fun). Bring smiles and fun into your workplace by following these tips.